Here are few fun and helpful pet tips about behavior and nutrition. to making that decision: Is Your Dog Breeding Quality? 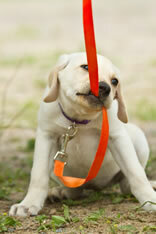 Click here for a Common Sense Guide to Housetraining. How does your pet's food rank? 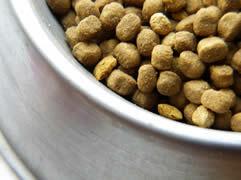 Click here for a guide to pet nutrition. Knowing pet first aid could save your pet's life. Check here for classes. HOT CARS: Even on mild days, and even with slightly open windows, a car can reach 120 degrees Fahrenheit in minutes, so even a short errand can threaten your pet. HOT SIDEWALKS: Your feet don’t feel how hot the blacktop or concrete is, but theirs do. A pet’s paw pads can burn, which is not only painful but puts them at risk for further injury or infection by damaging the protective tissue. 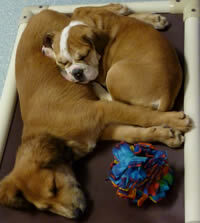 Consider changing their walk to early morning before the sun heats the ground or at sundown. OFF-LEASH CHAOS: You are not the only one who wants to be outdoors, and all the additional interactions with people and dogs make the summer months peak dog bite season. Remember that there are adults and children out who aren’t as familiar with dogs, as well as unsocialized dogs out with their owners. More wild critters out can also make for dangerous distractions off-leash. GARDENING: Our gardens often intersect with our pets’ outdoor domain. Cocao mulch is deadly to pets, and many chemicals used to treat our yards are also hazardous. Many toxic plants (like those of the lily and ivy family) might also be in abundance this time of year. INSECTS: You know the little critters are bothering you, but they are also a key vector of disease for your pets. Make sure that your pets are protected against heartworms, roundworms, hookworms, whipworms, fleas, ticks and mosquitos. A little prevention now could prevent a lot of painful and expensive treatment. FIREWORKS: Not only are they toxic and explosive, but holidays with fireworks are the peak times that pets get lost; the noises and flashes can be very unnerving and cause an otherwise brave pet to flee. Make sure your pet is safely contained during fireworks, and consider that they may not enjoy attending such an even with you. CITRONELLA: Citronella candles are great for us, but then again we never try to eat them. These waxes can cause nervous system depression as well as upset stomach. Also keep all insect sprays, etc, out of reach. MATCHES/LIGHTERS: Ingesting matches can cause illness or kidney failure, and lighter fluid causes both skin and tummy issues—make sure you put them away after lighting that grill! SUNSCREEN: This is both a danger and a need. Some dogs need sunscreen due to furless areas or light colored fur. However, using products not specifically marked for pet use could endanger your pet. Same goes for insect repellant, especially those with DEET! OVERHEATING: Know the signs of pet heat stroke: panting, staring, anxiety, despondence, warm dry skin, fever, rapid heartbeat, vomiting or collapse. A neat tool to help keep your dog from overheating are cooling bandanas. Check them out here. So now that you know what to watch out for....go have fun!! Also check out our Pet Boutique page here and see the summer special we have on a portable water bowl. Puppies instinctually follow their mother. She is their pack leader. Even within a large pack of dogs the tendency is for the majority of the pack to follow behind one lead dog (huskies for example.) What happens when people walk their dog is that they allow the dog to be the leader. This actually sets precedence throughout other areas of your's and your dog’s relationship. 1. Go the other direction. If your dog is pulling to the left; stop, and head towards the right. If your dog is pulling forward; stop, and head backwards. At first your walks will only be in front of the driveway, back and forth. 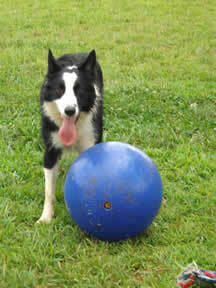 Don’t be discouraged, your dog is still getting exercise and is using her brain, which burns more calories as well. Most importantly, this prevents her from getting to go in the direction that she wants. 2. Stop. That’s right, simply stop. When you start, if your dog starts pulling again. Stop. Your dog has to figure out what behavior can elicit getting to walk again. She is learning on her own not to pull. 3. Use a corrective device. The misconception with choke chain and prong collars is that they work as soon as you put them on the dog. But any dog owner will know that a dog will still continue to pull even to the point of coughing and turning red. You have to learn to appropriately use the training collar. A qualified obedience instructor can show you how to properly and effectively use a training collar and see quick and easy results. A training class or private lesson with an instructor from Pawtropolis is essential. 4. Do not use a harness. I hear it everyday. An owner will put a harness on their dog because, “They pull so hard the collar is hurting their neck.” Or the owner may believe the harness will prevent pulling. Two points: First, a dog will not continue to do something if it is causing undue/intolerable pain. So if they keep pulling on the leash, it isn’t your responsibility to be afraid that they may hurt their throat. They recognize their own pain threshold. So don’t be discouraged to use a regular collar because of this. Also, harnesses are used for huskies to pull sleds. It actually encourages the dogs to be able to use their full weight to pull the leash. Exactly what you don’t want. 5. Use a Gentle Leader: A Gentle Leader is a newer product from Premier Pet Products. It looks like a harness worn on the muzzle of the dog. It allows you to be able to control the dog’s head. Dog have less strength to pull in just their heads, so this device allows for greater control with less work on the owners. The success of this device lies in getting your dog used to wearing it, which can easily be done with treats and praise. 6. Clicker Training: The clicker classes available at Pawtropolis teaches the dogs to focus on your hand as a target. The dog will use this skill to target your hand as you walk and not forge ahead. This takes a bit longer, but uses all positive reinforcement. The main point to remember is that you have to be the pack leader. You have to walk and act like the leader. Stand tall and confident, looking in the direction you are heading, walk with a purpose and except nothing less than a dog that walks nicely by your side. 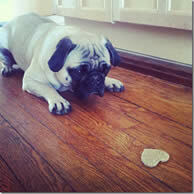 Teaching Your Dog to "Wait"
· Not grabbing food that is dropped on the floor and more. 1. 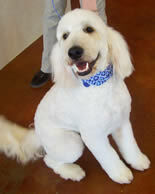 Put your dog on a 4 or 6-foot cotton, nylon or leather leash and go to your problem location, a front door for example. 2. Go outside of the door and leave your dog on the inside. Simply squeeze through not allowing her to pass. Now you are on one side, the dog on the other with the leash hanging in between with the door shut enough not to allow her through. 3. Now slowly open the door just a small amount, put up your hand in a “stop” motion and say, “wait.” Your dog, not knowing this command is probably going to rush to push through the door. This is where your cat like reflexes come into play. You will quickly close the door as soon as you see her start to come forward, stopping her in her tracks. 4. Now Repeat. From your dog’s point of view they are thinking, “Okay, mom’s gone crazy.” What you want is to look for that split second where instead of darting through the dog they relax, look puzzled, or simply is not moving towards the direction of the door. The first time it will only be a second so it is important to watch her closely. The second she pauses you will give a big cheerful “Okay” and open the door wide allowing her to go through. 5. Now continue practicing. What is happening is that your dog is teaching herself. She is learning that it is only when she relaxes and waits that you release her to go through. 6. The most important thing now is that you are consistent and do this at every opportunity. You will be amazed at how quickly your dog stops at the next door waiting for your release. You can also do this with food and treats. The only difference is that you will hold the dog’s collar, put the treat/food on floor, give the “wait” command and hold tightly to the collar. The second they stop pulling towards the food you can say “okay” and let go. Keep practicing and you can amaze your friends by having your pet stare longingly at a juicy treat on the floor and wait patiently for your command before retrieving it. Good luck. If you’ve ever tried making dinner in a home with dogs, you will know that they always want to help. That means in my house I have four little noses watching me cook and drooling. Obliviously this makes cooking very difficult. So I’ve taught my dogs to “Wait in the living room” while I cook dinner. They know this means to stay on the carpet and not to go onto the tile into the kitchen. How did I do this? Are my dogs amazing? Well…yes, but your dogs can do it too. 1. You will need to define the barrier that you do not want your dogs to cross. If your kitchen has a doorway, this will work, or if your kitchen is has different flooring than the rest of the house that will work as well. 2. Now we need to start with a very defined border. What I did was put a broom laying on its side on top of a few books at each end. I placed this right at the barrier from the living room to the kitchen. This helped to give them a more visual barrier. 3. Now, start doing what you need to. Keep in mind that this is a process and it will definitely take longer to cook dinner than usual. Bring your dog into the living room and say, “Wait in there,” (or choose your own command) put your hand up to them with a flat palm like you would telling traffic to stop. Then walk across the barrier. At this point your dog has no clue what you are talking about, so they will probably follow you right into the kitchen. Then take their collar and gently lead them back across the barrier and say again, “Wait in there.” Remember, this is a new command and nothing negative should be used. Simply take them right back into the other room. Remember, we aren’t asking them to do a formal “stay” just to not pass the barrier. 4. Most Important: You have to remember that your dog doesn’t understand what you are asking at this point. You will just have to continue this over and over. Some dogs may learn in the first session, some will take longer. You have to be consistent and patient. Working on this consistently for a few weeks will be worth it when all you have to do is say, “Wait in there” and you can cook dinner in peace. 5. Once your dog starts to catch on to this concept, you can start to lower the broom handle until it is lying on the floor. Eventually you can move it all together and your dog will still recognize this boundary. My Kenzie will sneak a foot onto the tile and I look at her and say “Nah” and she slides her foot back on the carpet. Pointers: As you are working on this, set aside a small bowl of treats. That way when your dog is waiting patiently on the other side of the barrier you can bring a treat to them. They will start to learn that staying in the living room is what gets rewarded. Also, be sure not to allow them to cross the barrier until you give a release command. Mine is “okay.” As soon as I say it, they all know that it is okay to come back into the kitchen. Teaching your dog to "Go to Bed." It is amazing at what dogs can learn. Let's start with a simple command, "Go to bed." First you'll need to decide what "bed" is. It can be their crate, their bed or their favorite place of the couch. - Take a yummy treat, show it to the dog, throw the treat to the location that is the "bed" and give the command, "Go to bed." The dog should run into the crate (or onto the bed) to fetch the treat, when they do, lavishly praise the dog. - Continue this for quite some time, moving further and further away from the designated spot. Once you feel your dog has started to understand, simply pretend to throw the treat. Your dog should still run to the spot as if you had thrown the treat, when she does give her the treat. -Eventually, you will be able to simply give the command, they will go to bed, then wait for the treat. As your dog advances, you'll be able to say "Go to bed" any where in the house and your dog will quickly run to their spot. Great command for when the pizza man knocks. 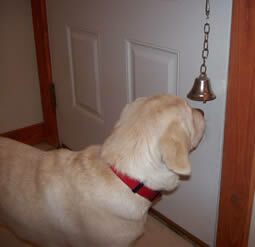 Wouldn’t it be marvelous if your dog rang a bell to ask to go outside? Well, guess what, they can! First get a small bell and place it on a ribbon that will allow the bell to hang at approximately nose height for the dog. Now arm yourself with some treats and the bell (and a clicker if you use one). Offer the bell to the dog and reward (with a click if you use a clicker) the dog for ANY interaction with the bell including just looking at it. Slowly increase your criteria for “paying the dog” until the dog actually makes the bell ring. It doesn’t matter how your dog rings the bell, with his tail, his nose, his foot or walking it down his body, the important thing is that you can hear the bell ring. Work on this a few times a day for about a week or until the dog is willingly ringing the bell. Now it’s time to add the door to the equation. Hang the ribbon with the bell on the doorknob. Arm yourself with treats again. Get your dog to approach the door and ring the bell while it is hanging on the door. This is a new situation so be prepared to work on it for a little while. If your dog really has the hang of it add the cue “Wanna go outside?” just before the dog rings the bell. When he does open the door and take him outside and gratuitously praise the dog. Do 4 sets of ten repetitions each with the ring the bell, door opens, you and dog walk through pay the dog with praise. Do these repetitions over the course of an hour or so.